We are a friendly family run independent business located near Mytchett and are here to answer your questions and give you personal advice. 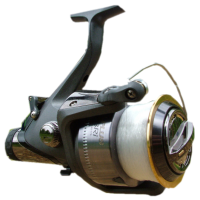 Our extensive range of Fishing Tackle in our Mytchett shop includes Beginner kits right through to Advanced Anglers means that we are very likely to have the Fishing Tackle to suit your taste. Live bait: Red and White Maggots. Please make sure to call our shop near Mytchett on 01483 489757 or email: info@pentangle-aquatics.co.uk or check out our facebook page: https://www.facebook.com/PentangleFishing/ for up to date information on any special piece of Fishing Tackle you may be looking for. We also stock Tropical and Marine Fish as well as Exotic Reptiles.